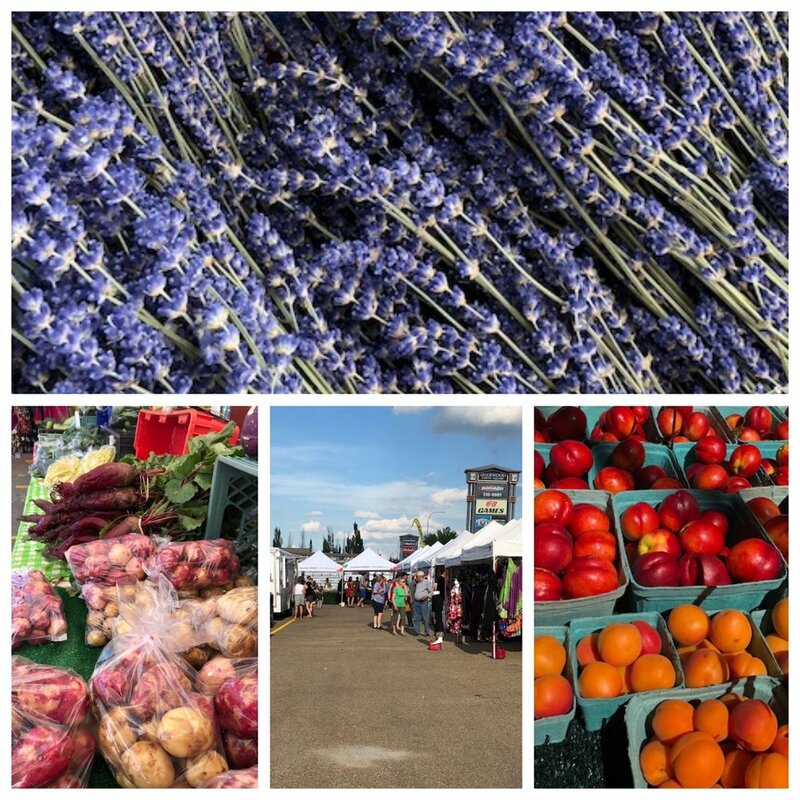 Baseline Farmers' Market is open in Sherwood Park every Wednesday, 4-8pm. Find us set up in the Home Depot parking lot on Baseline Road. Here is our great line-up of vendors for Wednesday, August 15! We also have food trucks and ready-to-eat options to save you from cooking. See you soon! If you’ve been to Baseline Farmers’ Market in Sherwood Park lately, you’ve likely seen our vendors selling the most delicious, juicy peaches and an abundance of raspberries too! We are well into summer now and have plenty of hot days ahead – what better way to cool down than with some delicious homemade peach-raspberry lemonade? This recipe is so easy to make and will leave you feeling so refreshed that you’ll want to drink it on cool days too! Blend peaches, raspberries and 2 cups of water in a blender until smooth. Pour mixture through a strainer. Grab a pitcher and add the remaining 6 cups of water, lemon juice, sugar and raspberry peach mixture. Stir and serve over ice. Optional: Drop in full raspberries, blueberries, lemon wedges and other fruit of your choice. Baseline Farmers' Market is a farmers' market in Sherwood Park that is open every Wednesday during the summer from 4-8pm. We are set up in the Home Depot parking lot on Baseline Road. See you soon! Mobile bakery, Meat Street Pies, produces quality ethnic meat pies... from scratch! 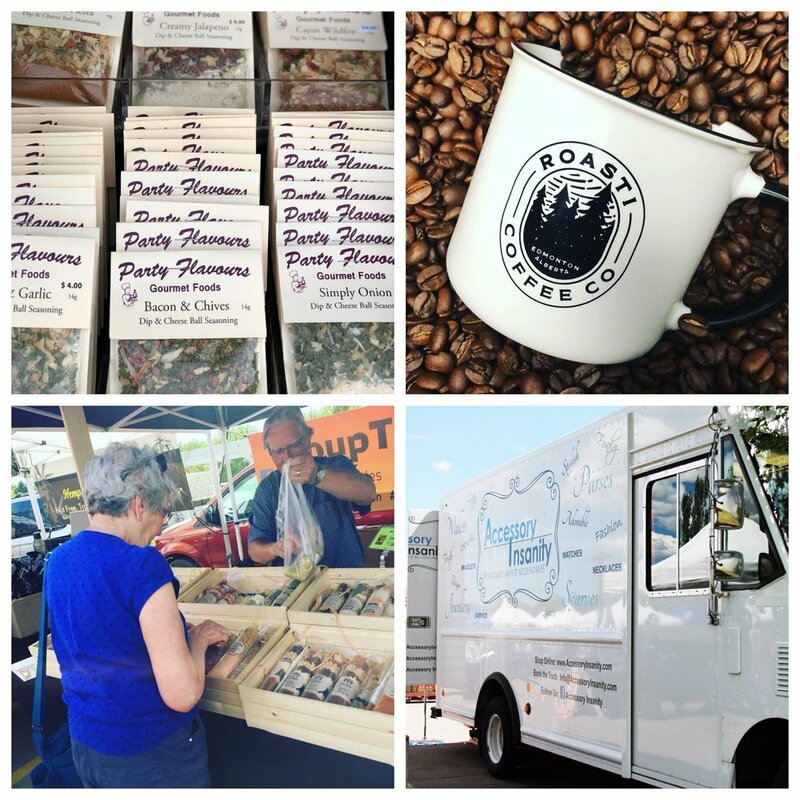 When founders, Jonathan and Thea, retired they chose to channel over 40 years of experience in the baking business and open up their own food truck.